Madrid and Barcelona are by any mean the only touristic destinations. Although Madrid is a capital of Spain and Barcelona is the capital of Catalonia and the most touristic city of Spain, Seville (Sevilla) also has its share of famous when it comes to the south region of Spain called Andalusia (Andalucia). Seville locally known as Sevilla is the capital of the second largest autonomous community of Spain. It is the third most visited city in Spain due to its incredible beauty and quantity of monuments. Seville is proud to be the largest historical center of Spain and the third in Europe after Venice and Genoa. Enough words let’s present you Top 5 out of many places of Seville which one must to see while visiting the stunning capital of Andalusia. Did you know that the cathedral of Seville is the third largest cathedral in the world? It is protected by UNESCO. Cathedral has the bell tower called Giralda which from medieval times till now is considered to be one of the most important symbols of Seville. We highly recommend to climb the tower and enjoy the view from 104 meters above the ground. In addition to this, the Cathedral counts with the Royal Chapel (la Capilla Real) and with a garden of Orange trees called Patio de Los Naranjos. The entrance to the cathedral will cost you around 9 euros and it is definitely worth spending! Plaza de Espana is, without a doubt, the most beautiful work of Sevillian architect Anibal Gonzalez. Plaza de Espana is situated in the Maria Luisa Park which is located along the second largest river in Spain called Guadalquivir, in the south from the Seville’s historic center. Plaza de Espana is a 50.000 square meters half-circle square with buildings around one side which can be accessed by bridges which represent the four ancient kingdoms of Spain. Alcoves located by the walls of the building at the Plaza Espana represent different provinces in Spain. Don’t forget to find your province if you are already living in Spain or If you are just visiting Spain, take a photo with the province of Seville for the memorable capture. El Torre del Oro in English The Gold Tower is the military tower situated in Seville at the left edge of the river Guadalquivir. The Tower Is another very important monument of Seville. It was built in the 13th century in order to control and defend the port of Seville. It is 36 meters tall and the tower got such name from the golden shine it projected on the river. The Metropol Parasol which is also known as Las Setas de Seville is a wooden structure/ building is claimed to be the largest such type of structure in the world. on the top of the structure, there is a viewpoint which provides an incredible view of the old town of Seville. The entrance to the viewpoint costs 3 euros, however, at least when we went there we also got a coupon allow us to spend it on a small bottle of water or other refreshers at the bars located on the top of the structure. Under the structure, there is a market, some restaurants, and bars as well as archeology museum containing the most important pieces of the Era Romana of the city. Real Alcazar de Sevilla translated Royal Alcazar of Seville is the royal palace which was built by Muslim kings in 914 and which is considered to be in use for the most time in Europe. It is declared as the World Heritage Side by UNESCO and it is considered to be one of the most visited attractions in the world. General entrance to the palace will cost you 9.50 EUR. Some discounts apply for the students and pensioners thus, if you are one of them don’t forget to show your documents! There are many beautiful and very good restaurants in Seville. However, in order to feel the real spirit of the city, we would suggest going “a Tapear”. If you don’t know what is “Tapas” yet check our article about that! Probably the most authentic place of Tapas of Seville is called El Rinconcillo which was found in 1670 and it is located in the heard of Seville. Different types of Tortillas (Spanish potato Omelets), Different Iberian tapas, Salmorejo and Gazpacho (Spanish tomato cold cream and soup), different Cold Tapas and much more. We would highly suggest booking your table at least a day before. All the information and booking you can find at their official website. 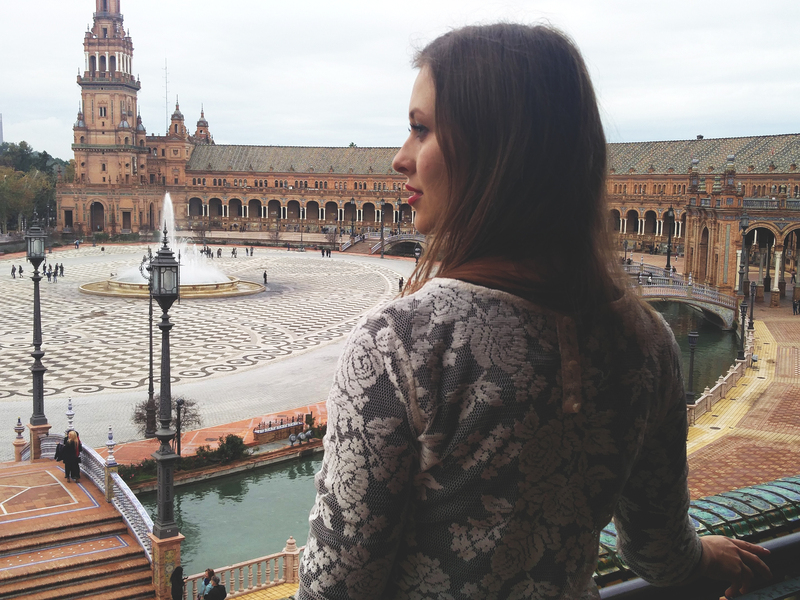 Ready for the sightseeing and discovering Andalusian Capital, Seville? Autumn and Spring are the best times of the year to do so!